“Our Eyes shall behold Your return with mercy to Zion. (NOTE: As with last week, this is one of two special Shabbats in preparation for Pesach/Passover containing an additional Torah reading and a replacement for the usually-read Haftarah reading. This one is called HaChodesh—“The Month” because it is the last Shabbat before Chodesh haChodeshim—the “Beginning of Months” in the Hebrew religious calendar (The agricultural “new year” comes at Rosh HaShanah in the fall). This First Month Nisan (or Aviv) begins on March 28th, commencing the previous evening at sundown). PLEASE PRAY: for hearts of Israeli believers to be moved to offer up their craftsmanship and creative energies as a free-will offering to the Most High. Pray for women and men to be equally valued and recognized in their talents and giftings. Pray for “cheerful” giving from the heart (2 Cor. 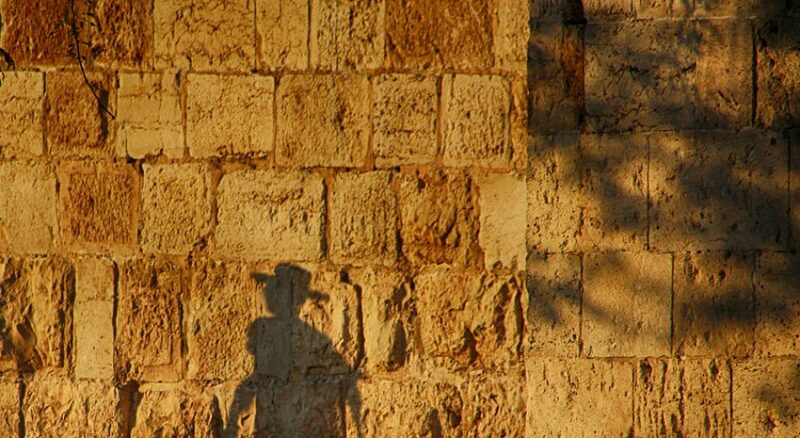 9:7) on the part of Israeli believers, both of physical resources and of talents and time, not merely as a mitzva (an obedience to gain favor)—but at the moving of the Holy Spirit within their hearts. Attempts to observe the prohibition related to fire in the last verse of this passage continue amongst many observant Jews today, in some cases reaching extremes which, to our understanding, go far beyond the original intent of the prohibition. From the time the Shabbat Lights are lit just before sundown on Friday until candles are again kindled at Havdalah following sundown on Saturday, no lights are to be kindled by Jews. Electric timers are placed on light switches and stoves so that the owners will not be guilty of lighting a fire (i.e. initiating an electric spark by flipping a switch). This is also the reason religious Jews don’t drive on Shabbat (starting a car involves making the battery produce a spark to ignite the engine). Pressing a button at a streetlight in order to cross the street also initiates a “spark,” as does pressing a button in an elevator (Kosher hotels and many fancy apartment buildings in Israel are equipped with “Shabbat elevators,” which are set to unceasingly go up and down automatically throughout the Sabbath). We do not mock the earnestness of those who genuinely feel it to be God’s will, and who are trying to please Him by observing these strictures. But we do believe them to be misguided; that in some instances, such prohibitions slip into a category which Yeshua condemned in Matthew 23:4—that of heavy burdens not intended by God being laid on people’s shoulders by religious leaders, rules which often become mere works for show. The context for this lone passage about lighting a fire on the Sabbath is God’s instructions for the construction of a place for His habitation among His people—the Mishkan, Dwelling Place, the Tabernacle. It was a construction of craftsmanship requiring all the creative, “artistic” gifts, energies and skills of which humankind (made in the image of God) is capable. Yet the fashioning of this Holy place with all of its Holy furnishings was not to cancel out the pattern set by the Master Artist when He Himself fashioned the universe. He worked for six days, then ceased work and was refreshed on the seventh (Genesis 2:3; Exodus 31:17). Much of the work being described in these chapters would require building a fire to smelt and fashion the metals—melting, bending, shaping and forming everything, from Cherubim of gold, to tools, to ornaments, to bolts and pins of brass. Making the fire involved a lot of work—finding, gathering and chopping the wood, then kindling the flame with a friction method involving much exertion (The one record we have of judgment coming on an individual for breaking this law is found in Numbers 15:32, where the offense was specifically for gathering wood on the Sabbath) . The joyous sacrifice of yielding up one’s gifts and skills to God for “holy work” must also include respect for His “times and seasons” in exercising those gifts, chief amongst them being what He first called “holy”—the Seventh Day (Genesis 2:3). Last week we read of Betzalel (a descendant of Judah) and Aholiav (of the tribe of Dan)—artisans whom God had filled with all wisdom and grace for performing and overseeing the intricate workmanship required in preparation of the Tabernacle. In this later passage it is mentioned that He also put it in their hearts “to teach.” Indeed, 36:1 mentions others whom the LORD had filled with artistic grace to work under them, subject to their wise instruction. PLEASE PRAY: that those released in the artistic skills in the congregations in Israel will focus not only on the work allotted to them for their own times—but will be stirred in their hearts with a desire and ability to pass on their wisdom and skill to the men and women of the generation rising after them. *THIS TORAH PORTION carefully describes the concluding stages of constructing the Tabernacle, even down to itemizing the amount of precious metals used. It is noteworthy that neither in this account of finishing the work, nor in last week’s account of beginning it, are the Urim and Thumim (Exodus 28:29-30) mentioned. This suggests that they were not “fashioned” by the creative skills of men, but given by God to be placed in the Breastplate of Judgment. The Portion then ends with the completion of the work of the Tabernacle (39:32), its erection (40:17), and the coming of the manifest Presence of the LORD to fill it with His Glory—that He might dwell among His people in their travel to Canaan. SIMILARLY, THE HAFTARAH ends with the Ark of the Covenant being brought up from the City of David to the new Temple built by Solomon, with its being placed in the Temple’s inner court, and with the cloud of God’s glory filling the House of the LORD (1 Kings 8:11). *1 Kings 8:8. This takes care to point out that in Solomon’s Temple, the poles used to transport the Ark of the Covenant were so prominent that they extended out of the Inner Sanctuary of the Temple so as to be visible in the Holy Place. The LORD’s instructions in the Torah for carrying the Ark had evidently been viewed as ‘lesser details’ by David when he sought to bring it up to Jerusalem from Kiryat Yearim (2 Samuel 6:3), resulting in the death of one of his men when the ox pulling the cart stumbled. Both of the readings this week have to do with completing preparations of a place—and then the coming of God’s Presence to dwell among His people. Although it does not appear in Scripture, a Hebrew word sometimes used for the manifestation of the glory of His Presence on Earth is Sh’khinah, or in English: “Shekinah.” It is related to the word shakhan which we discussed several weeks ago, when we read in Exodus 25:8 of God’s desire to shokhen—to dwell closely with, to neighbor with His people. And of His delight that they should so also desire for Him to be among them, that they would willingly sacrifice to prepare a mishkan (tabernacle)—a place for Him to dwell. Our Eyes shall behold Your return with mercy to Zion. Blessed are you, LORD, that brings back His Shekinah to Zion. In parts of the Body of Messiah today, one may hear of a longing for the coming of the Shekinah—the manifest presence of the Glory of God. This can be of course a blessed longing (Moses cried, “Show me your glory!”). In welcoming Shekinah—we are not merely calling for some “glorious” experience or manifestation—we are instead responding in our hearts to His desire to shokhen—to dwell among us! “I will dwell among the children of Israel and will be their God. And they shall know that I am the LORD their God, who brought them up out of the land of Egypt, that I may dwell among them. I am YHVH their God” (Exodus 29:45). “And I will dwell in your midst. Then you will know that the LORD of Hosts has sent Me to you.” (Zechariah 2:11). “Surely His salvation is near to those who fear Him, that glory may dwell in our land” (Psalm 85:9). “ ‘For I,’ says the LORD, ‘will be a wall of fire all around her [i.e. Jerusalem], and I will be the glory in her midst’” (Zechariah 2:5). PLEASE PRAY: for an awakened longing in Israel for the Presence of the LORD to return to His Land. Pray for grace among us as Believers in preparing the way for His Glory. And pray for revelation among Israelis that preceding Messiah’s physical return to the Land, it is possible for His glorious Spirit to take up residence within the individual hearts of all of His people (Ephesians 2:22)—to commune with them and encourage them, and to lead, even as did the cloud and the fire of His Presence in the wilderness. From ancient times there has been a weekly portion (Parashah) from the first five books of Moses (The Torah) and an ending (Haftarah) from the Prophets read on the Sabbath in synagogues around the world. This portion is given a Hebrew name drawn from the opening words of the Torah passage. 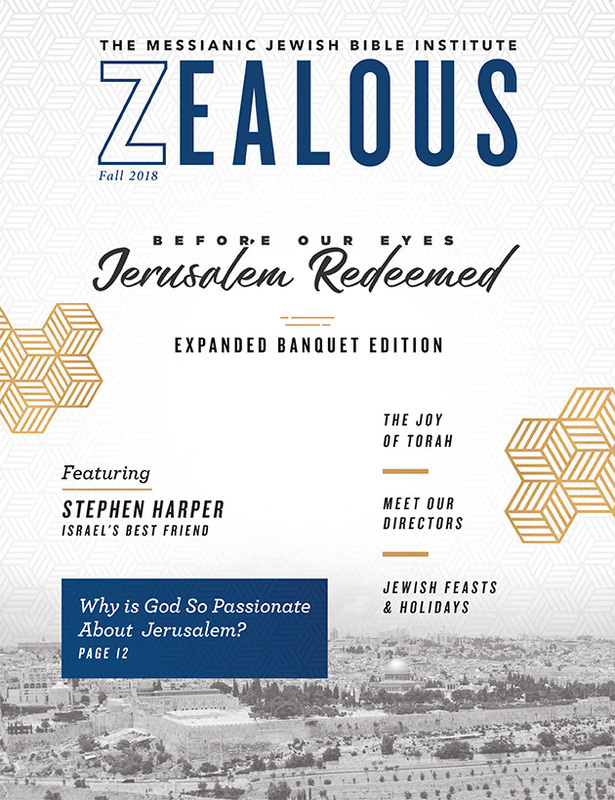 We have found that in perusing these weekly readings, not only are we provided opportunity to identify in the context of God’s Word with millions of Jewish people around the world, but very often the Holy Spirit will highlight specific passages pertinent that week in our intercession for the Land and people of Israel. The Haftarah, unless otherwise noted, will be that read in Ashkenazy synagogues around the world.